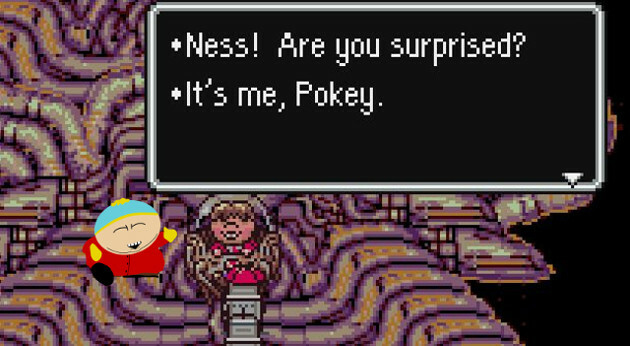 EarthBound‘s Pokey Minch is a conniving, calculating coward. His taunts are incredibly childish, and his actions are unbelievably evil. He thinks nothing of sacrificing others, even if it doesn’t benefit him in any substantial way. If that sounds exactly like South Park‘s Eric Cartman, it’s because Pokey pretty much is Eric Cartman. They’re villains cut from the same piece of cloth, substituting brooding and angst with astonishing levels of jerkitude. Other jerks came before Pokey, but those pricks lacked potency. Pokey was annoying, but he was also an actual threat. He was at his most dangerous when he was at his most obnoxious. Cartman took that formula and refined it to a science. Pokey kidnapped a member of your party and attempted to use them as a human sacrifice; Cartman gave one of his best friends AIDs. Pokey helped a cosmic horror destroy the universe; Cartman successfully convinced a guy to eat his own parents. South Park‘s lack of a heart allowed its villain to be evil in ways Pokey never could. There’s a part of me that wants to believe that Pokey influenced Cartman. Trey Parker does love all things Japan, and the two characters are astonishingly similar. They even look a bit alike. Unfortunately, the dates don’t quite line up. EarthBound was released in Japan in August of 1994, and came out in North America in June of ’95. Cartman debuted in the pre-South Park short Jesus vs. Santa, which was released on December 1, 1995. 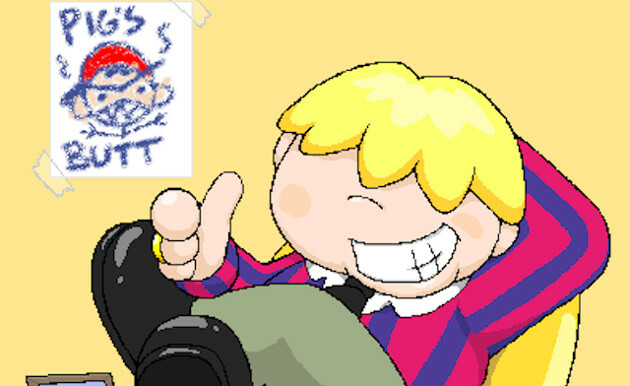 It’s not impossible that Parker played EarthBound and was immediately inspired to create Cartman, but it’s pretty unlikely. Ultimately, it doesn’t matter if their similarities are coincidental or not. The world of fiction needs characters like Pokey and Cartman. Sometimes, there are elaborate motivations behind the evil things that people do. But sometimes, those people are just jerks.